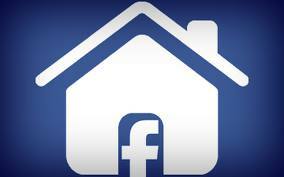 How Can You Incorporate Facebook into Your Real Estate Marketing Effectively? With the majority of homebuyers beginning their home search online, it is imperative that real estate agents are maximizing their online presence to capture buyers and sellers. This includes utilizing the most beneficial social media platforms, especially Facebook. After all, with over 300 million active users, Facebook is becoming the ultimate social destination. For real estate agents, Facebook’s features, apps, and numerous capabilities create an ideal environment for prospecting and growing your business, as it allows agents to establish a faster and more personal connection, engage with fans or followers, share valuable information, acquire new clients, and more. To summarize, it is truly an essential component to an effective online marketing strategy. However, to be effective, real estate agents must embrace Facebook and take advantage of its countless resources. By executing the following steps and implementing the suggested tips regularly, you will build value in your brand, instill trust and loyalty with your followers, and enhance your real estate business. 1. If you don’t have a Facebook Business (or Fan) Page, Create One. Setting up a Facebook Business (Fan) Page is simple. Just go to Facebook.com, and click “Create a Page” on the login screen, and follow the steps. A Facebook Fan Page functions just like your personal page except for it collects “fans” instead of “friends”. However, creating a Fan Page allows you to remain professional by separating your personal posts from your business posts. When inserting your page information, complete each field with as much detail as possible. Include your website in the “About” section to increase visibility. After your page is complete, publish it and invite your personal Facebook friends to “like” it. In addition, you can upload your database to your Fan Page and invite your clients to “like” your new page, advertise it to a target audience, etc. 2. Incorporate a Facebook Marketing Strategy into Your Business Plan. Establish clear goals that are specific, measurable, achievable, realistic, and time bound. Budget the amount of time daily that you will devote to Facebook Marketing, and compose a list of ideas that you would like to implement into your Facebook Page with a time table. Map out your daily schedule and allot time to post at least two or three times a day to Facebook, preferably during peak usage times to get more exposure, “likes” and “shares”. 3. Connect your Facebook Page to your other Marketing Initiatives. Add the Facebook icon with a link to your Fan Page to your website, blog, email marketing, and other marketing collateral. This will produce more exposure for your page, and therefore, more “followers” or “fans”, by allowing site visitors and email recipients to conveniently access the page. Add the link of your Facebook Fan Page to your email signature so that email recipients can easily access it, as well. Connect your Facebook Page with your other social media accounts. Apps like Ping.FM and Selective Twitter Status allow Facebook to automatically share the content that you post to your other social media accounts (and vice versa). This will enable you to engage on all of your social media pages without spending any additional time. Remember, the goal of social media is to be social, offer value, and engage your audience; therefore, the most vital component in executing a successful Facebook Marketing Campaign is to post useful content at least two or three times a day. As a “Golden Rule”, 80% of the content posted to your Business Page should focus on lifestyle, customer interests, tips, etc, while only 20% of your posts should be business oriented. Actively seek and share informative content that will engage your followers, entice them to “like” or “share” the post on their page, and attract a wider audience. Post your personal blogs as well as articles written by outside parties to diversify the material and information on your Facebook Page. Just copy the link of the specific article, and paste it as your “status”. Generate traffic and blog clicks by adding compelling information about the article to your status. Be careful not to bombard the news feed with consecutive posts, as it can annoy your followers and fans. Instead, consider waiting at least an hour or two between your posts to maximize their visibility on the news feed. 5. Incorporate Images and Videos in Your Posts. Posts with images receive more traction and often remain in the news feed for a longer period of time, as people generally connect more with images. Add stimulating images, graphs, charts, etc. to capture the attention of more fans and followers in the news feed, and encourage more “likes” and “shares”. Include a video or a virtual tour of one of your listings. However, too many status updates of listing photos or virtual tours detract value from your page. Remember to keep 80% of your posts related to the community, news, and other material that users deem useful. Share a photo of a property you just sold. Utilize functions of other social media for videos, including Flippagram, Vine, Instagram, and YouTube to create and display memorable photos, videos, or slideshows. Take advantage of the “YouTube for Pages” app by Involver to share your YouTube videos on your Facebook Fan Page. 6. Utilize Facebook’s Cost Effective Advertising Platform. Facebook allows users to create right column ads that are targeted to a specific audience. For example, if you want to advertise a new listing, you can target a specific city, or narrow the audience to those who are renting or relocating. In addition to creating a right column advertisement, you can promote your posts. When you promote a post, it will remain at the top of the news feed for an extended time period to increase its visibility among your followers or fans. If you want to maximize exposure of a post, determine the audience you want to target, and your post will appear on their news feeds even if they are not followers or fans of your page. Both methods of advertising allow you to connect with Facebook users outside of your Fan Page; thus, creating opportunities to capture more fans or followers, promote your brand, and expand your reach. Compared to other paid search marketing, this is an inexpensive and effective way to enhance your Internet Marketing Campaign. 7. Employ the Use of Facebook Tabs and other Free Advertising Options. Update your Cover Photo with a picture of your newest listing. Download a customizable template that enables you to highlight key features and include multiple images of the home. Encourage users to visit your Fan Page by posting about a special offer or incentive to secure page traffic and exposure of your new listing. Use a tool like TabSites Website ReSizer to create a Facebook Tab for your Featured Listings within 10 minutes, rather than share every listing on your news feed. Just select a few listings that you want to occasionally post to your news feed, and embed the URL of your Featured Listings Tab. This adds a great dimension to your Fan Page and will attract and engage visitors. Set yourself apart from other REALTORS by incorporating your MLS web page to a Facebook Tab with TabSite Website ReSizer. After easily creating the tab, visitors will receive full access to your website’s MLS straight from your Facebook Fan Page. Add a “Contact Me” tab to prompt visitors of your Fan Page to input their email address and information. Post about the “Contact Form” periodically on your news feed, and offer incentives to motivate users to opt-in. You can add their email addresses to your database and send them your email marketing campaigns. This is a great way to expand your database. Make an appealing “Welcome” tab, complete with testimonials, awards, or an introductory video that showcases your skills. Run contests and sweepstakes through third party apps, like Wishpond, to generate traffic to your page and increase visibility of tabs and posts. For your business related posts, share stories about your clients that illustrate how much you care about them. Write about showing houses to your buyers, getting a contract on a house, etc. Make it short and sweet, just to remind your fans that you are a real estate agent. Engage your followers by updating your status with questions that encourage a response from fans. Respond promptly to continue interacting. Avoid political or religious posts on your Fan Page to keep it professional. Provide links with helpful information to your Fan Page, like road construction, the website of a recommended vendor, a fundraiser or event, etc. Interact with users or pages that you follow by “liking” or “sharing” their status updates and pictures. There are an abundance of additional features and functions of Facebook that will help you expand your reach and build your clientele. Although applying these tips to your marketing initiatives will promote your brand, it is crucial to stay adept of new trends and apps that you can adopt that will continue advancing your social media presence and set you apart from the competition! Search for new ideas on Facebook or online, and integrate as many components as possible to your Facebook (or other social media) marketing initiatives! light and make it important. A lot more people ought to check this out and understand this side of the story. the good work and to everyone keep on learning!